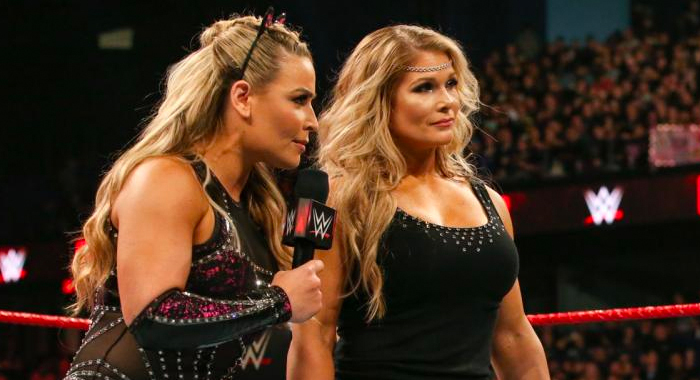 WWE Hall of Famer Beth Phoenix has announced her intent to come out of retirement at this year’s WrestleMania, and has issued a challenge to Bayley and Sasha Banks for the WWE Women’s Tag Team Championships. While the match has yet to be confirmed by the company, both Beth and her long-time best friend Natalya have every intention of reuniting the Divas of Doom on the Grandest Stage of Them All. Now, that being said, the Boss & Hug Connection have also announced that they will be showing up on Smackdown Live tomorrow night to address recent comments made by The IIconics, and are also entrenched in a very physical rivalry with Nia Jax and Tamina Snuka, who once again attacked the champions this Monday night on WWE RAW.